Mr. Maneesh Mansingka is the Managing Director of our Company. Mr. Mansingka holds a bachelor’s degree of Commerce from Sydenham College, Mumbai and has completed a Management Development Programme for Edible Oil Industry from IIM-Ahmedabad. He has also done an executive education programme on Managerial Finance from Harvard University, Boston. He has about two decades of experience in various areas of agri commodities, warehousing, trading, finance etc. 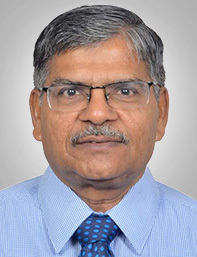 Mr. Kamal Jain, is a Chartered Accountant having rich experience of around 37 years in the field of finance, taxation, corporate affairs and human resources developments. He serves as Director – Finance and “Chief Financial Officer” of Kalpataru Pwer Transmission Ltd.
Mr. Manish Mohnot, aged 46 years, is a Non-Executive Director of our Company. Mr. Mohnot is a Chartered Accountant, Cost Accountant and a certified SAP R/3 application consultant (accounting and controlling). He has more than two decades of experience in areas related to power, oil & gas, infrastructure, consulting, banking and business development. He has also completed an Advanced Management Program from the Harvard Business School. Currently, he is Managing Director & CEO of Kalpataru Power Transmission Limited. Moreover, he is Chairman of CII transmission line division. Previously, Mr. Mohnot was associated with KPMG in strategy consulting and Standard Chartered Bank in the country finance division. He is well-admired thought leader for seminal contributions in numerous Industry whitepapers. 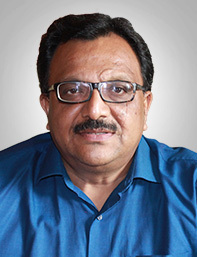 Mr. Hetal Madhukant Gandhi is a Non-Executive Director of our Company. He holds a bachelor’s degree in commerce from the Bombay University and is a Chartered Accountant. He has about 29 years of experience in the financial services business, Particularly private equity and asset financing. Previously, Mr. Gandhi was the chief executive officer of Orix Auto and Business Solutions Limited. 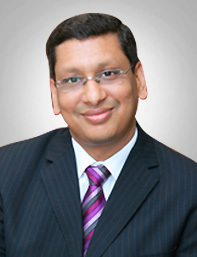 Mr. Sanjay Kumar Jain is the Non-Executive Independent Director of our Company. Mr. Jain holds educational qualifications of B.Com (Honours) from Shriram College of Commerce, Delhi and is a qualified Chartered Accountant. He also holds Diploma in Business Finance from ICFAI. 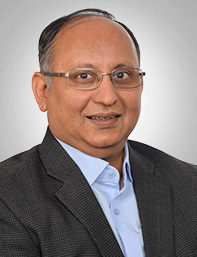 Mr. Sanjay Kumar Jain has a vide experience of 28 years in Corporate Finance and Investor Relations and has worked in Agribusiness, Media and Alcobev sectors. He has been Director at Taj Capital Partners Pvt. Limited since August 2005. Formerly started his career in 1990 from JM financial & Investment Consultancy Services Ltd. New Delhi; after that joined Ranbaxy Laboratories Limited, Price water house Coopers Limited. 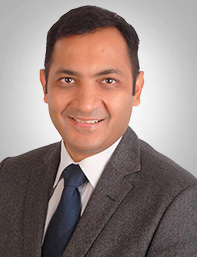 Between 2000-2005, he worked with Rabobank India (Subsidiary of Rabobank, Netherlands), New Delhi and was Director & Head Relationship Management, North India, Local Corporates & Government Group. He also worked as financial advisor to New Delhi Television Ltd. (NDTV) and Consultant to Warburg Pincus (Private Equity).